Sooke, British Columbia is a hidden gem. Tucked away on the tip of Vancouver Island, the forest meets the sea in Sooke, offering stunning views and a wide array of activities for outdoor enthusiasts of every discipline. Located an hour’s drive from Victoria, the seaside town is close enough to offer the comforts of city life but is far enough off the beaten path to get away from it all. Sooke, BC: where the forest meets the sea. Like much of British Columbia, Sooke is home to a temperate rainforest with towering trees, lichen, ferns, and a wide variety of wildlife. Located on the Pacific Ocean, this outdoor lover’s paradise offers views of the sea from every corner of town and the chance to spot sea otters, whales, and seals frolicking along its chilly coastline. Rain is a frequent occurrence on the island, with the winter months being consistently gray and wet. Tourism is low during the winter and most of the local outfitters go into hibernation until the sun comes back out. 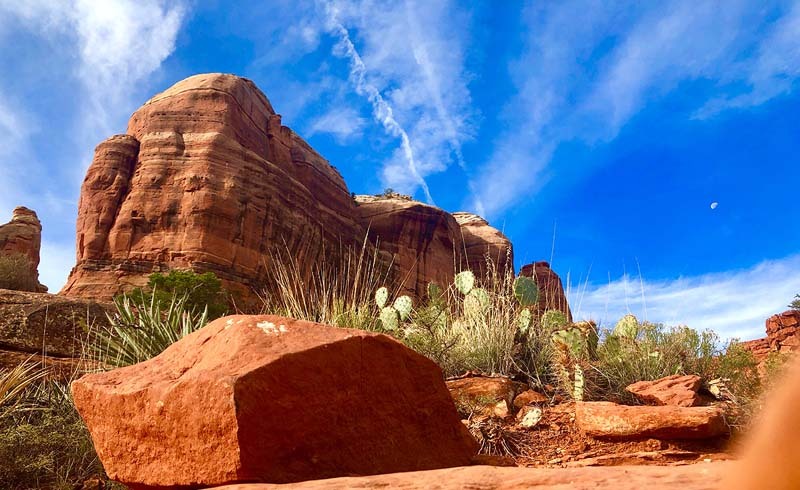 Although temperatures are fairly cold year-round, summers are typically warmer and drier, with temperatures averaging in the mid-60s (Fahrenheit). 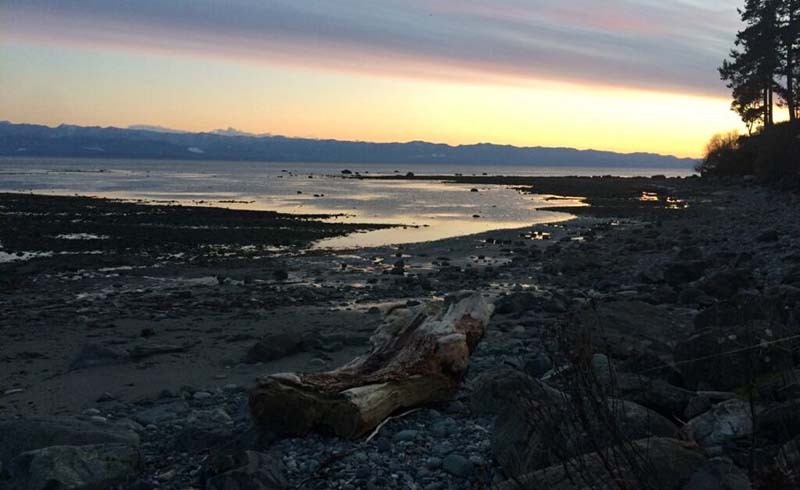 With everything from hiking and rock climbing to surfing and whale watching, there's so much to do and see in Sooke, you'll likely leave with a return trip already in mind. To make the most out of your trip, we’ve rounded up five of our favorite outdoor adventures in town. Enjoying the view from above. Zip-lining is a rush unlike any other and an amazing opportunity to see the town from a new perspective. There’s only one outfitter in town, Adrena LINE, and their name says it all. Just a short drive from downtown, Adrena LINE is situated off the main highway, under the trees. “Our vision for this company was really born out of wanting to share and preserve the natural beauty of an amazing piece of the rainforest and its wealth of insight into the history of the area,” director Jeremy Wilson tells ASN. Adrena LINE tackles adventure from every angle and the course includes eight different lines, a short ATV ride, and a suspension bridge. The staff is friendly and professional, and guests are given numerous opportunities to take photos to document the surrounding beauty. 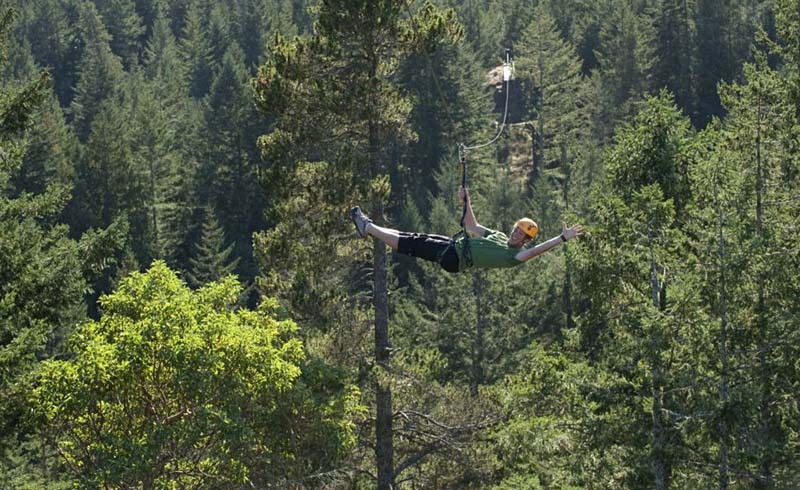 For those looking for additional heart-pounding experiences, Adrena LINE offers adventure packages to keep the fun going. The hiking trail parallels the Sooke River, with plenty of sightseeing and swimming opportunities along the way. Although there are an endless number of hiking trails to choose from in town, the Sooke Potholes are a must. 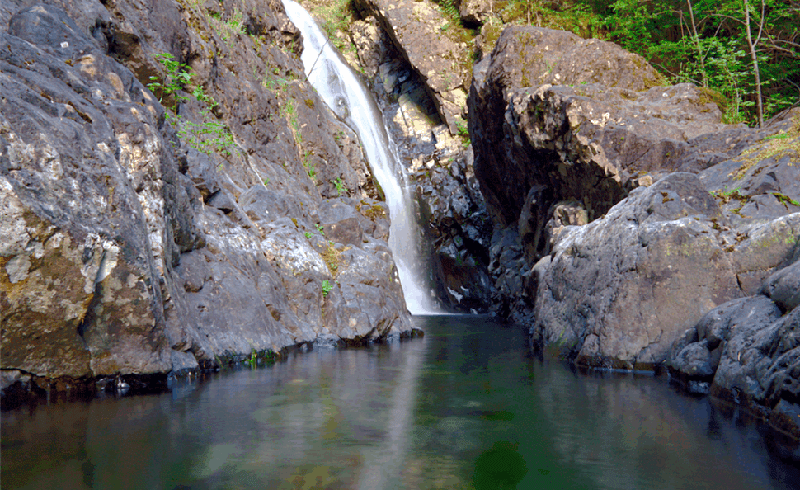 Located in the Sooke Potholes Provincial Park, the hike parallels the Sooke River, offering views of the pools and potholes carved into the bedrock. The potholes were formed naturally as a result of glacial action during the last ice age, some 15,000 years ago. The moving and melting of ice packs carved a path in the bedrock, forming the river. The potholes were the result of large boulders lodged and swirled along the canyon walls. Today, the potholes are popular during the summer months, the clear water and deep holes are a lure for locals and tourists alike. The spot is also popular among sport fisherman when the salmon spawn, offering a fun opportunity for catch-and-release fishing. There’s no better way to see Sooke than from the water. There’s no better way to view the island than from the water. Although there are a number of different guide companies in town, Mystic Beach Adventures is our outfitter of choice. 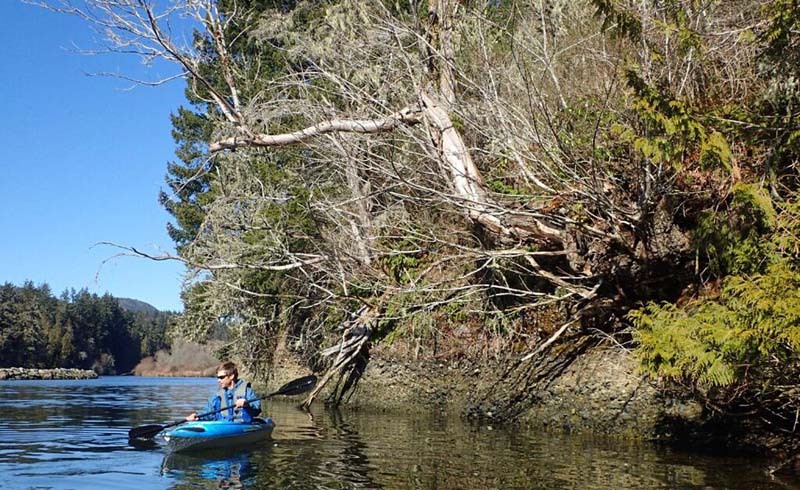 Owned and operated by Randal Pickelein, this local outfitter offers SUP/kayak tours at the Sooke Harbor, Sooke Basin, Sooke River, Ella Beach, Jordan River, and Muir Creek. Tours typically last 2-3 hours but Pickelein is sensitive to his clients’ needs and is happy to accommodate paddlers of all levels and skillsets. On all tours, guests can expect stunning views, background info on the local flora/fauna, and a chance of sighting seals, otters, sea lions, bald eagles, black bears, swans, a variety of other wildlife that call Sooke their home. For those looking to go it alone, Mystic Beach Adventures also offers half-day, full-day, and weekly rentals. One of Sooke’s biggest draws are the resident orcas that call the region their home. 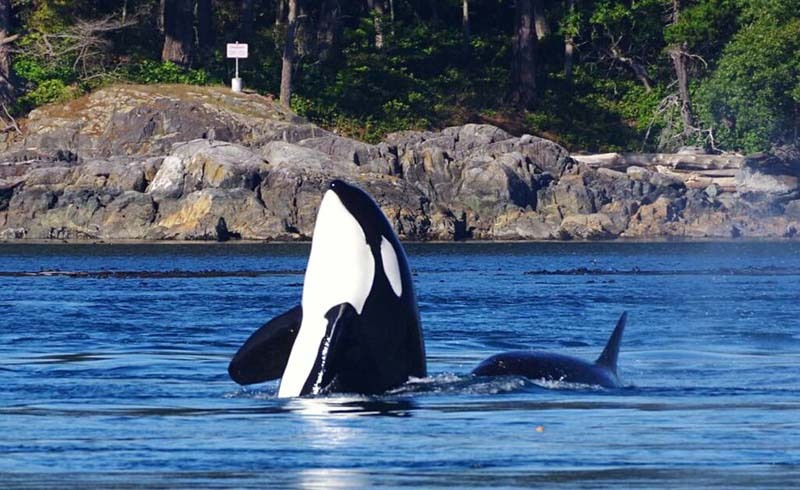 Sooke offers some of the best whale watching on the west coast. Orcas are frequently sighted on tours as a resident pod calls the region their home while a transient pod frequently passes through. In addition to orcas, humpback whales, grey whales, minke whales, fin whales, harbor seals, Stellar and California sea lions, as well as a number of marine birds are frequently spotted. There is a chance to spot whales and other marine life year-round, but orcas are typically sighted from April to November, while humpbacks often frequent the local waters between the months of March and November. Transient orcas, grey whales, minke whales, and fin whales are spotted sporadically throughout the year and seals and sea lions can be found all year long. Whale watching is popular in Sooke and there are a number of tour companies in town: Sooke Whale Watching, Adventures By HIP, and Sooke Coastal Explorations. Be sure and dress warm – tours are often chilly, even during the summer months. If you’re willing to brave the cold water, there’ surf to be had. 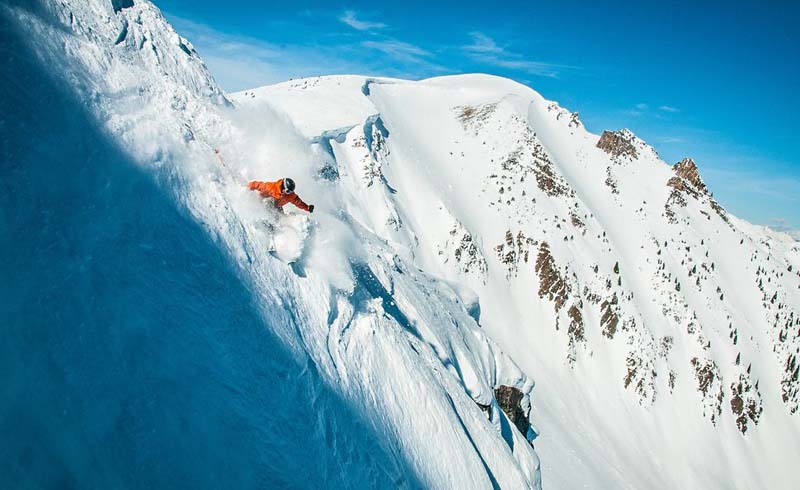 When planning a trip to BC, surfing may not be the first thing that comes to mind. But if you’re willing to brave the cold water, there are waves to be had. 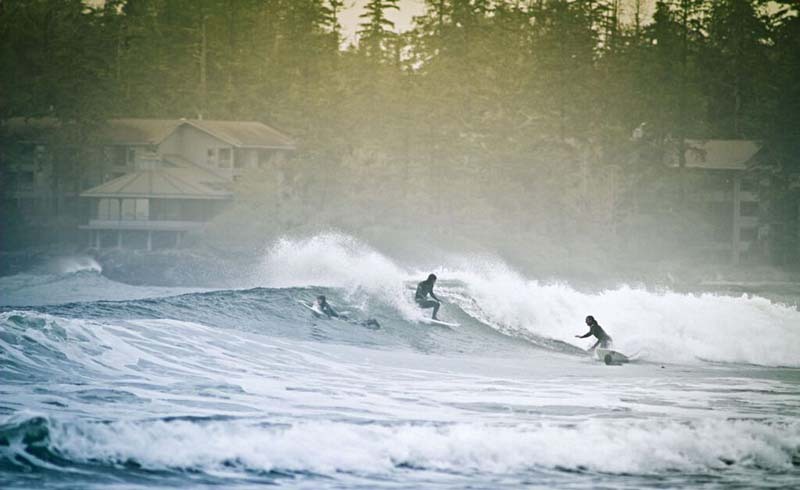 Tofino is the most well known surf spot in the area but it takes roughly five hours via car to reach the location. If you’re looking to stay closer to town, the Jordan River is just 30 minutes outside of town and offers great waves, if you catch it on the right day. Waves at the Jordan River can be pretty inconsistent, so you’ll have to wait for the wind, tide, and swell to align in order to score good surf. There are three main breaks: The Point, Rock Piles, and Sewers, with Sombrio Beach being another option located 19 miles northwest of the spot. There are some strong currents and rocks in the area, so you should only paddle out if you’ve had some experience on a surfboard. The water remains cold year-round, so you’ll want gloves, booties, and a 6/5/4mm wetsuit to stay safe and warm. As always, it is important to practice good etiquette in the lineup as the locals naturally get hungry for waves after patiently waiting for the right swell to fill in.